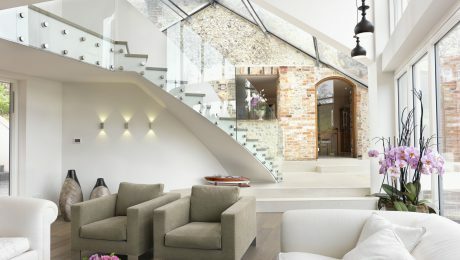 Pfeiffer Design is an interior architecture and design consultancy, based near Brighton. 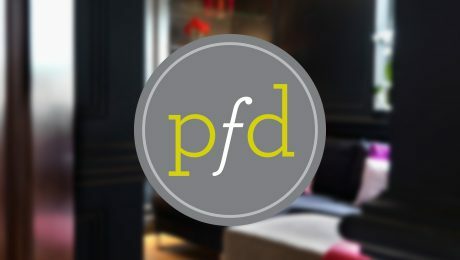 It’s small specialist team, led by founder Susie Pfeiffer, providing a comprehensive interior architecture, design and project management service, creating beautiful spaces for residential and commercial clients. Pfeiffer Design approached us for a full brand evaluation and development, directed towards creating a new responsive website (www.pfeifferdesign.co.uk). The brief specifically called for large, striking portfolio images, to maximise the site’s visual impact and increase its effectiveness as a sales tool. We designed and built the site using parallax scrolling, in which the background images move past your eye more slowly than foreground images as you scroll through the page. We also created a set of simple graphic icon illustrations to highlight and differentiate the company’s services, aiding navigation and user engagement. The feedback has been extremely positive. Pfeiffer Design reported since the website’s launch turnover has increased 500%. The investment was returned within 6 months of the new brand being launched. A simple, clean and fresh update of an existing identity. New lifestyle photography enhanced the modern approach to the company's responsive website. "WARREN CREATIVE'S ATTENTION TO THE DETAIL OF PFEIFFER DESIGN'S BUSINESS AND OUR ETHOS WAS EXCEPTIONAL. THEY LISTENED AND INTERPRETED OUR REQUIREMENTS FOR THE NEW WEBSITE BEYOND EXPECTATION. THE RESULTING WEBSITE HAS ATTRACTED SO MUCH NEW BUSINESS DUE TO ITS INNOVATIVE FORMAT, VISUAL LAYOUT AND GRAPHICS. OUR INTERIOR ARCHITECTURE BUSINESS WOULD NOT BE AS SUCCESSFUL TODAY WITHOUT WARREN CREATIVES INPUT. THANK YOU PAUL AND ALL AT WARREN CREATIVE."